Saeko Hamada TV joined Klaas Zwart from Ascari Race Resort at the BOSS GP in Hockenheim, Germany, where team Ascari took 2nd place. But on the next race in Donnington Park, Klaas recorded a double win! Saeko Hamada TV followed Team Ascari on 16-17 April in Hockenheim, Germany. Team Ascari finished 2nd on the first race, driving a Benneton. "I am really happy about winning the trophy! The car felt really good and it was also faster than the day before. Unfortunately the gearbox didn't last," said Zwart. Saeko filmed the preparations before the race, warming up the car and also the ceremony on the podium, where Klaas was given the trophy! Have a look at the episode HERE! The next race in Donington Park, England was very su ccessful for Klaas Zwart, because the experienced driver steered his Benetton Formula 1 to victory in both ra ces at the English circuit. 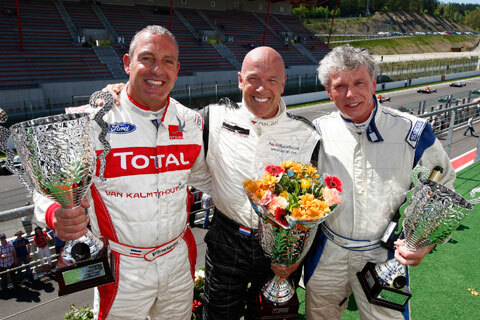 Austrian driver Ingo Gerstl and Dutchman Henk de Boer both won one race each in the Formula-class. French rookie Didier Sirgue cruised to victory twice in the Masters-division. 1) The BOSS GP "Open" class with Formula 1 cars from 1990 till 2005 against Champcars and Indycars. Team Ascari is running Klaas Zwart again this season, running an Ascari-Benneton B197 F1. To read more about BOSS GP click HERE! 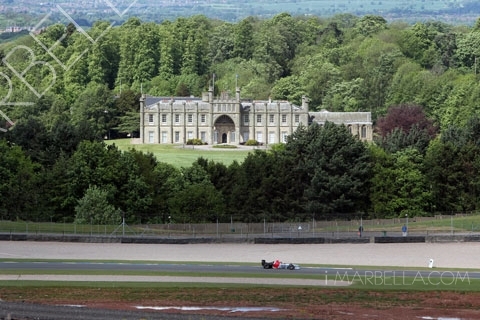 Donnington Park will be on air next week !! Saturday 21:00 on M95 and of course on I-marbella very soon !